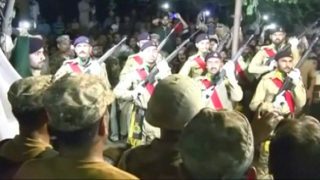 The Pakistani military says there has been another exchange of fire with Indian troops across the unofficial border in Kashmir. 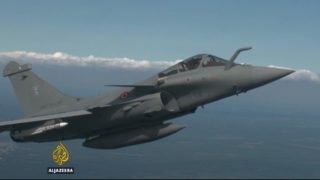 India signed a formal agreement on Friday to buy 36 Rafale fighter jets from France's Dassault for a reported $8.7bn. Human rights organisations in Pakistan estimate at least 5,000 people have gone missing in the country since the so-called war on terror began. The highest number of cases are in the Khyber Pukhtunkhwa province. Five years ago the US announced that Navy Seals had found and killed Osama bin Laden during a raid on a compound in Pakistan. 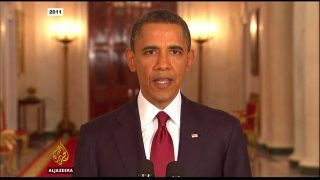 At the time it was seen as a major achievement for the Obama presidency and a milestone in the fight against Al Qaeda. Prime Minister Nawaz Sharif vowed to eradicate radical ideologies from Pakistan after a Taliban suicide bomber targeted many women and children celebrating Easter Sunday at a park in one of its biggest cities. Re-Define Managing Director Sony Kapoor speaks on "Bloomberg Surveillance. 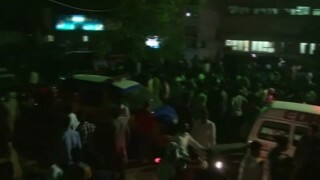 A suicide blast targeting Christians has killed at least 65 people at a park in Lahore, Pakistan. Yiming Woo reports. 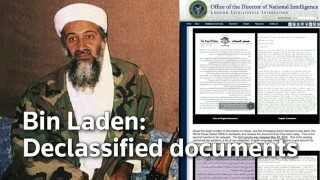 A cache of newly declassified documents seized in the 2011 raid on Osama bin Laden's Pakistani hideout shows that Al Qaeda's leaders were increasingly worried about spies in their midst, drones in the air, and secret tracking devices reporting their movements as the U.S.-led war against them continued.